Rather than inviting random digital marketing agencies to provide a quote on marketing concepts, contact an experienced WebsLaw representative. Do you remember that infamous question in Kindergarten? “What do you want to be when you grow up?” You probably sat near an Apple ll Macintosh. No, don’t remember? Here’s a reminder. Except, this is the Apple 1 and it looks better (my opinion) then the Apple ll did at the time. This is a stock photo BUT you probably had a whiplash of memories by seeing this image. Children with their hands raised high to the ceiling urgently awaiting for a chance to share their dream of growing up and making a mark as a Police Officer, Fireman, Rockstar, Ballerina, Football players, Soccer players, Hockey players and then you had the one child…the one kid who had a dream of growing up to make a mark in the world as an Attorney. If it was the early 80’s, you might have snuck in the first Godfather film produced in 1972. 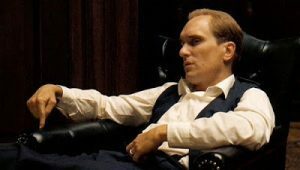 If your dream was to become just like Tom Hagen and we ALL know some did, you killed it! Literally! But, if you were thinking Skadden (power, money and the rise of a Legal Empire), you are probably in a world of “what the hell” was I thinking right now. Fast forward, you did it! You went through the tedious process of law school, aced the BAR and went hunting for the most “prestige” openings available. You’re hired! You celebrate! You’ve put on a nifty, classy business suit and are on your way to fulfill your long, thirsty dream of growing up to be an attorney. The partners of the firm are experienced both in knowledge and time, they’ve grown an empire and they’ve given you the opportunity to be part of the 60-80 hour work week. You’re strong, you’re smart, you have ideas and you KNOW that there is so much that can advance the firm and the opportunities ahead. 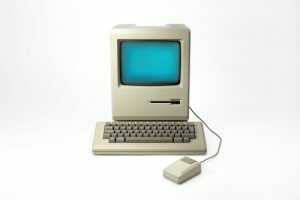 What you don’t realize is that while you were sitting near that Apple all in Kindergarten class with your hand raised to the ceiling, patiently waiting to tell the whole class your dream of becoming an attorney, the partners in the firm were out networking in their classy 80’s business suits. What is the point of my article? There must be a point! It’s simple, the more experienced Tom Hagen’s broke a sweat to build an empire. They networked, knocked on doors, knocked doors down and worked incredibly long hours beside a glass of scotch. They’ve built their empire and any idea that requires a change in the way the firm has been operating will be very difficult to break through. It is your job as the new, fresh and talented associate/partner to help the Tom Hagen’s understand the opportunities available to their empires. Fighting technology is in their bloodline and you will need tangible evidence to change their mind. Most of all, understanding what hard work and long hours mean. Attending events, networking, buying lunch, dinner and knocking on the door of neighbors can all be done digitally today. You can still break a sweat but you can do that while enjoying your morning jog. I’d hope that the Tom Hagen’s of our time appreciate this article. Their devotion to the industry is recognized by individuals like myself and the team at WebsLaw. When today’s sources of technologies were not available, dedication and persistence are what helped them move along. We owe a great gratitude to these individuals.